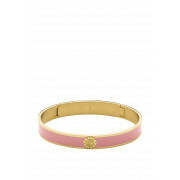 Add some colour to your collection with this fabulous Dyrberg Kern bangle. 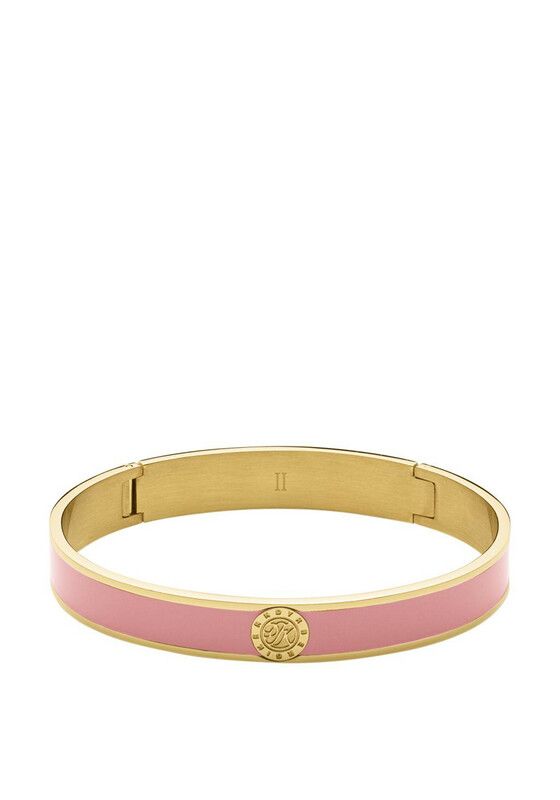 The bangle is a stunning gold bangle that has a band of rosy pink that wraps the bangle to add just enough colour to catch the eye. Finished off with a traditional Dyrberg Kern logo centred on the front of the bangle this is the perfect elegant piece.